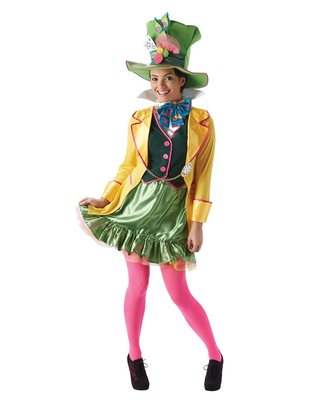 Ladies Mad Hatter Costume includes a colourful jacket with an attached mock shirt and a skirt. 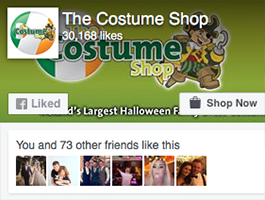 Costume also includes a bow-tie collar. To complete the look a hat is also included.